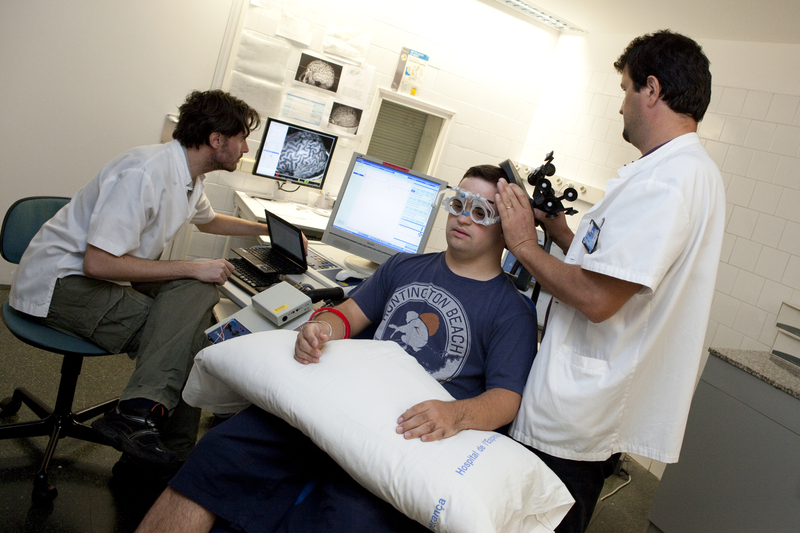 A team of scientists led by doctors Mara Dierssen at the Centre for Genomic Regulation (CRG) and Rafael de la Torre at Hospital del Mar Medical Research Institute (IMIM) have shown that epigallocatechin gallate together with a cognitive stimulation protocol, might improve some cognitive domains in individuals with Down’s syndrome. The results of the phase 2 study will be published on 6th June in the prestigious journal The Lancet Neurology. The findings suggest that participants who had received the treatment had better scores in the visual memory recognition and inhibition tasks, and improvement in adaptive behaviour than those in the control group (placebo and cognitive training). Though not a cure, this is the first time that a treatment has shown some effectiveness in this syndrome, and it opens the door to new research geared towards treating what was believed to be orphan of treatment. A team of scientists led by doctors Rafael de la Torre at Hospital del Mar Medical Research Institute (IMIM) and Mara Dierssen at the Centre for Genomic Regulation (CRG) have shown that epigallocatechin gallate, a compound present in green tea, together with a cognitive stimulation protocol, might improve some of the intellectual capacities in individuals with Down’s syndrome, and might modify the excitability and functional connectivity of their brains. The scientists present the results of their research in an article published in the prestigious The Lancet Neurology. Their discovery is the fruit of prolonged basic, pharmacological, and clinical research efforts, and shows the importance of research cooperation under a multidisciplinary strategy, and the commitment of the centres to conduct translational research. 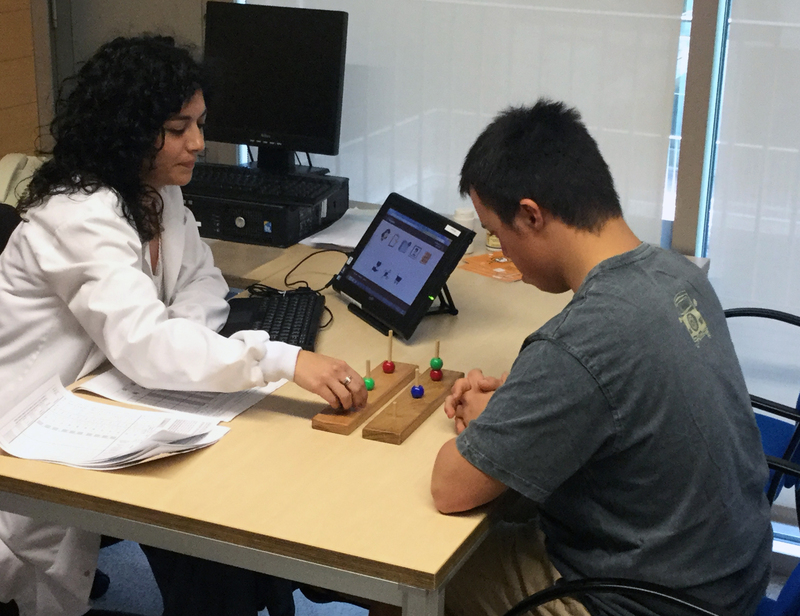 This is a scientific and social landmark for people with Down’s syndrome and their families, and for the Catalan research system, as proof of the quality and leadership of its centres. “This is the first time that a treatment has shown some efficacy in the improvement of some cognitive tasks in persons with this syndrome," states Dr. Dierssen, head of the Cellular and Systems Neurobiology group at the Centre for Genomic Regulation and lead author of the paper. “It must be made clear that our discovery is not a cure for Down’s syndrome and that our results have to be proven in larger populations, but it may be a treatment to improve these individuals’ quality of life,” she adds. According to the World Health Organization, Down’s syndrome affects approximately one out of 1,000 persons in the world, and is the most common cause of genetic-origin intellectual disability. It is caused by a trisomy of chromosome 21. In other words, Down’s syndrome people have three, not two, copies of chromosome 21. This causes the genes present in this chromosome to be overexpressed. The work of the IMIM and CRG researchers focuses on the role of a compound called epigallocatechin gallate, which compensates for the excess of function of one of the genes present in chromosome 21 (DYRK1A), involved in cerebral plasticity and certain cognitive functions. The study results indicate that individuals treated with epigallocatechin gallate and a cognitive stimulation protocol had score improvements in visual recognition memory, inhibitory control, and adaptive behaviour, and that these changes might be correlated with biological changes in their cerebral connectivity. The research of Dr. Dierssen’s group focuses on the molecular and behavioural analysis of learning and memory disorders in intellectual disability. Specifically, they have been studying mice models of the DYRK gene, which is responsible for many of the deficiencies of cognition and neuronal plasticity in Down’s syndrome. Once the effect of an overexpression of DYRK1A was demonstrated in mice, the objective was to discover whether inhibiting it led to improved function and development of the brain. Working with another research group at the CRG led by Cristina Fillat (now at IDIBAPS), they met this goal through gene therapy, although unfortunately, the results were not applicable to humans. Once epigallocatechin gallate was proposed as a possible inhibitor of the effects of DYRK1A, Dr. Dierssen began to use this compound in her experiments, achieving results that confirmed its efficacy on mice. The teams that led the study were the Hospital de Mar Medical Research Institute Integrated Pharmacology and Neuroscience Systems Research group of Dr. Rafael de la Torre and the Centre for Genomic Regulation Cellular and Systems Neurobiology group of Dr. Mara Dierssen, which have had the support of other professionals from Hospital de Mar and a number of organizations and foundations (Catalan Down Syndrome Foundation, the Espai Salut Foundation, and the Catalan Fragile X Syndrome Association). The study has been the work of a multidisciplinary team approaching the same problem from a number of different angles, with the participation of neuroscience experts, pharmacologists, biochemists, geneticists, neuropsychologists, neurophysiologists and neuroimaging specialists. Epigallocatechin gallate was known to inhibit the excess of the DYRK1A gene, and the success achieved in previous studies with mice suggested that the treatment could also work for human beings. The scientists studied more than the cognitive effects on the study participants. They also conducted neuro-imaging tests to determine whether the improvement was attributable to physical or neurophysiological changes in the brain. “It was surprising to see how the changes are not just cognitive—in the reasoning, learning, memory and attention capacities—but suggest that the functional connectivity of the neurons in the brain was also modified” says Dr. de la Torre. Drs. Dierssen and de la Torre have plans to continue this research, and will soon launch a clinical trial in children with Down’s syndrome. “Our results have been already marginally positive in the adult population, in which cerebral plasticity is limited because the brain is already completely developed. We believe that if the treatment is applied to children, the results might be even better,” say the researchers. Now the volunteers and necessary financing must be secured for this new clinical trial. Also, clinical trials in larger populations are essential to ensure positive effects and safety of the treatment to make recommendations for patients. Carrying out this study has been a major challenge at a number of levels. In the first place, Down’s syndrome was generally believed to be untreatable, and the proposal for a treatment has resituated the way this syndrome is approached by the scientific and medical communities. Also, the researchers had to develop new and more sensitive test batteries to measure the possible improvement of study participants. Now, the scientific community will have access to this information for future research projects in this field. This project has rendered outcomes that are already available for the Down’s syndrome community. For example, researchers collaborated in the design a product to dispense the epigallocatechin gallate to the clinical trial participants. It faces both the swallowing difficulties and nutritional problems of some individuals with Down’s syndrome. The program to administer the cognitive stimulation protocol used in this clinical trial is available. The researchers are also building a new improved videogame to train memory, attention and executive functions. Even though, families aiming to follow up with this project and to continue in touch with researchers, can follow a specific Facebook page launched to this end. Last, the greatest reward has been the social involvement around the study. The research now being presented was made possible by the support and cooperation of leading organizations and foundations that have contributed to the project. Mainly the Jérôme Lejeune Foundation with the additional contribution of the Institute of Health Carlos III, the ‘la Caixa’ Foundation, as well as the Catalan Down Syndrome Foundation, and the Down España Foundation. But it is also important to highlight the participation and involvement of many initiatives from smaller organizations, or even private proposals that have made this project a true instrument of social change. The donations from private citizens have made it possible for this study to now come to light, in crowdfunding platforms such as Precipita promoted by the Spanish Foundation for Science and Technology, the campaign “Shortening distances, approaching capacities” of the Friends of the Hospital de Mar (Amics de l’Hospital del Mar), in which three swimmers crossed the Strait of Gibraltar and returned, or popular initiatives like the one by students from the La Salle school in Mollerussa, that are currently running a photo contest and campaign for this project. 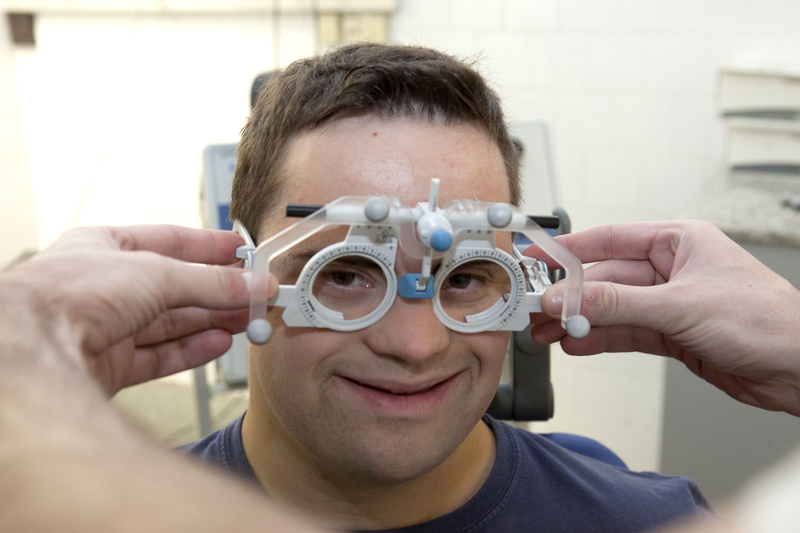 Comment at The Lancet Neurology: Pharmacotherapy in Down’s syndrome: which way forward? Jamie O Edgin, Departments of Psychology, Neurology, the BIO5 Institute, and Evelyn F McKnight Brain Institute, University of Arizona, USA. Lancet Neurology. 6th June 2016.